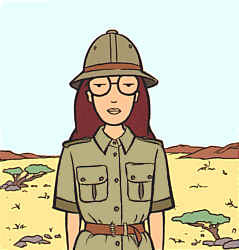 A drought was the period of time between the last first-run episode of a season of Daria on MTV and the beginning of the next season. It typically spanned from late August to mid-February. Fanfic authors saw it as their duty to fill the empty months with new stories until new episodes aired. This page was last edited on 5 October 2008, at 04:37.